Here’s a sneak peak at the Spring 2012 collection coming from No7… there are some gorgeous pieces! Firstly, I like how bright the packaging is, the range is released in January 2012 and it will definitely brighten up a dull Jan/Feb day! 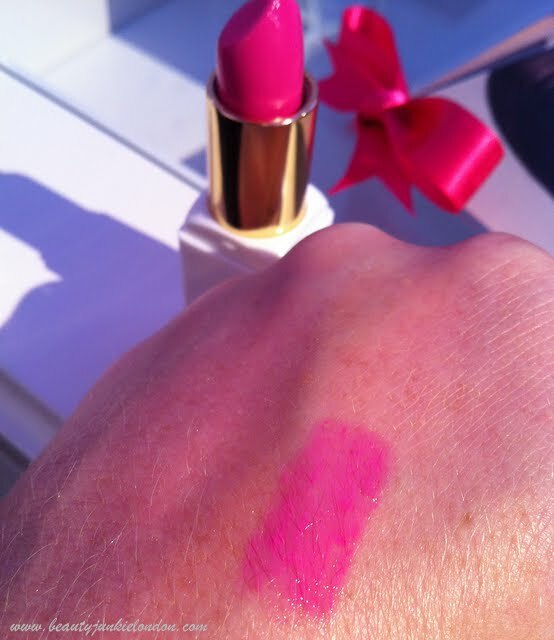 One of the gorgeous bright lipsticks… I do love a hot pink lipstick and this one looks lovely and creamy with a nice shine. The eyeshadow palette really reminds me of the metallic one from the ‘Vintage Love‘ 17 collection a few months ago… with the addition of yellow for a pop of colour. 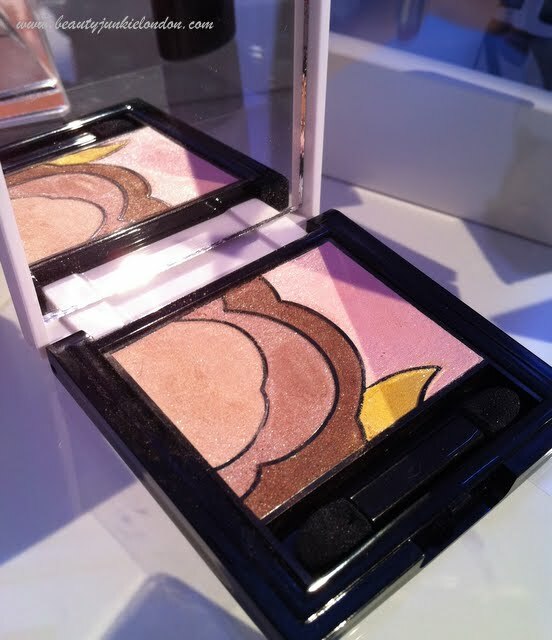 Then there is the gorgeous highlighter palette in a pretty peachy pink shade that reminds me of the design of the highlighter from the YSL Spring Collection. 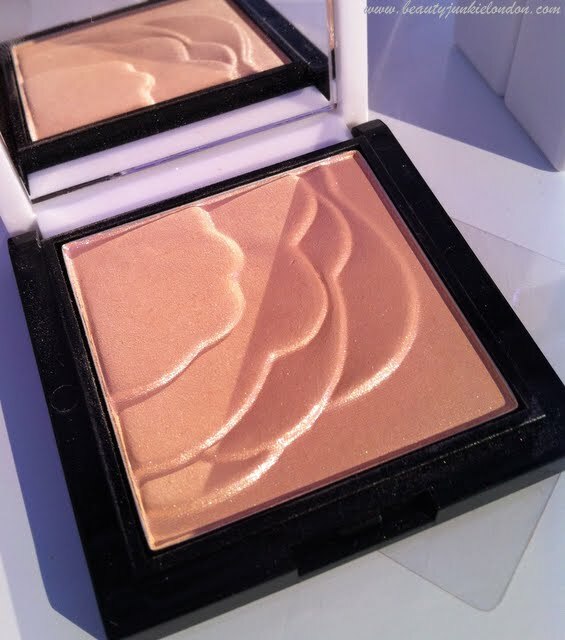 There’s also two cream blushers but I don’t have pics of those – I love a cream blusher so really looking forward to having a play with them! I hope to give these a proper swatch/test when they hit stores so I can take some properly accurate pics… but until then, here’s a preview! Items all photographed at PR event. Ooh this all looks very pretty indeed! Love the highlighter. The eyeshadow… Hmmmm. They are going to charge more than double the price of the 17 palette for one tiny little eyeshadow. I’m not impressed!